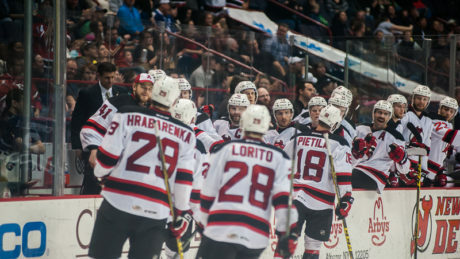 Highlights of the Devils 3-2 win thanks to a late goal by Nick Lappin. The Devils scored with 6.8 seconds remaining to force overtime and then won it shortly there after. 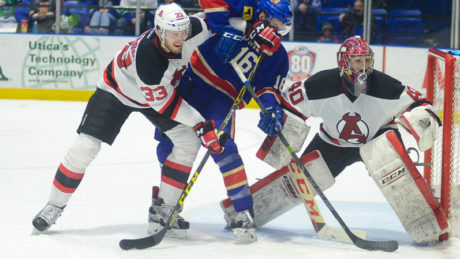 The Devils extended their point streak to eight games with a 4-1 win at Bridgeport Sunday. What does Mike Sislo have to say about extended his franchise-record eight-game goal streak. 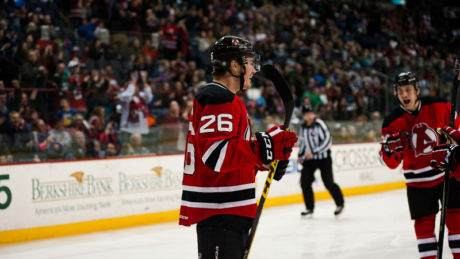 The Devils extended their winning streak to five games with a 5-2 victory at Bridgeport Sunday. 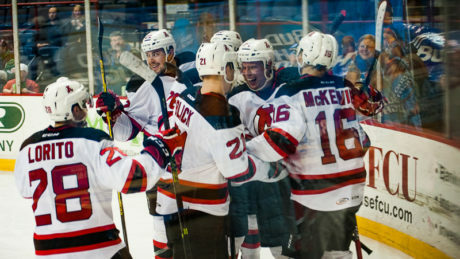 Matt Lorito scored the overtime winner, helping the Devils erase a two goal deficit in a 3-2 victory at Utica. 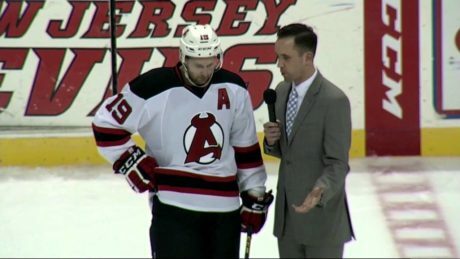 Watch the Devils tie the game in the final seconds and then win it in overtime. Ken Appleby earned his first career win/shutout and Graham Black, Mike Sislo and Jim O’Brien each scored in a 3-0 victory against Rochester. Watch highlights of the Devils 3-2 loss against the Bruins. 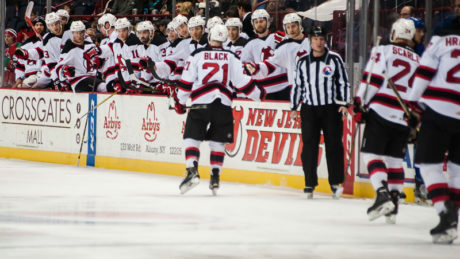 Watch highlights of the Devils 3-0 win against the Wolf Pack. 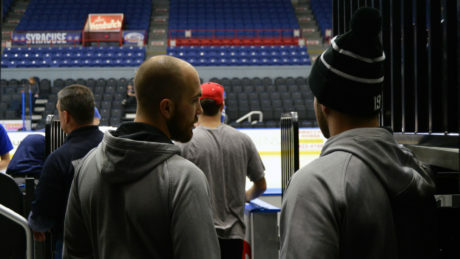 Yann Danis and Mike Sislo competed in the 2016 AHL All-Star Skills Competition in Syracuse, NY. Here is a behind the scenes look at their experiences.